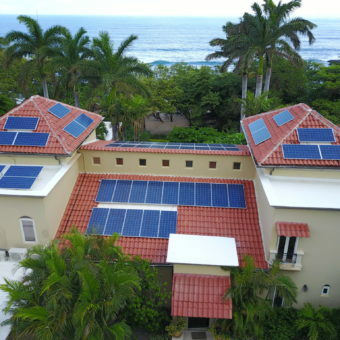 Welcome to Casa de Luz (“House of Light”). 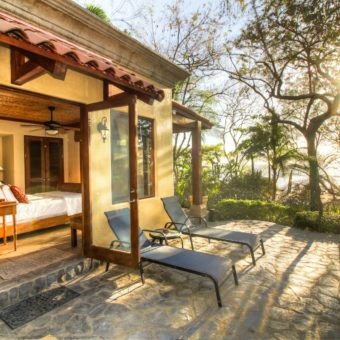 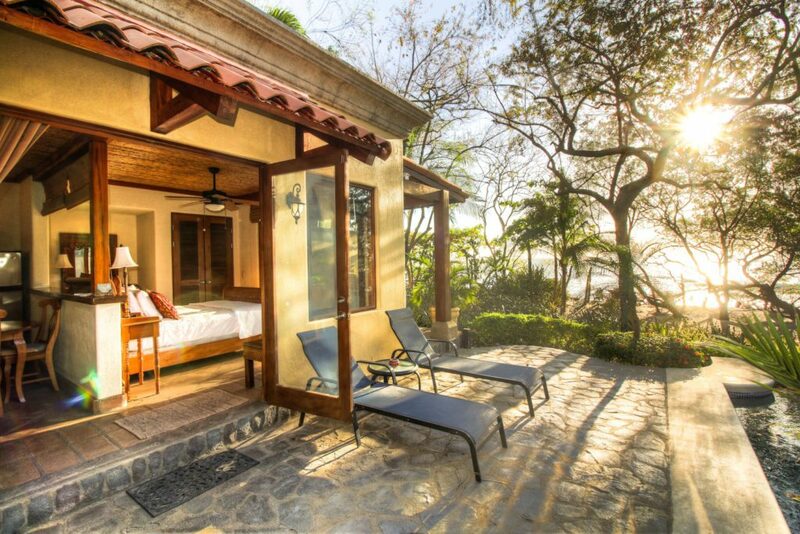 Our only goal is to provide your group booking of 10-20+ with the most amazing beach luxury rental experience you could wish for in Playa Tamarindo, Costa Rica. 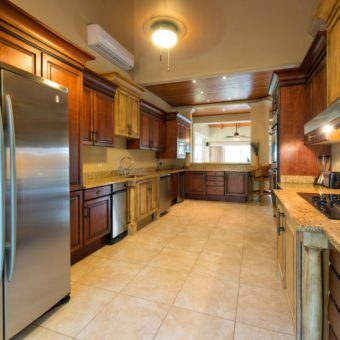 And we deliver! 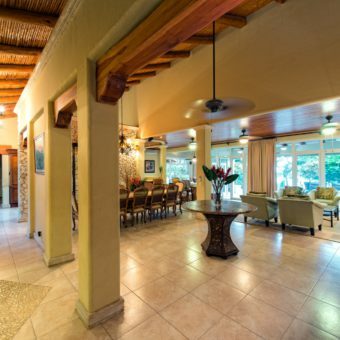 We offer the ultimate in location, accommodations and service, like having your own VIP class beach resort, with your own staff and amenities. 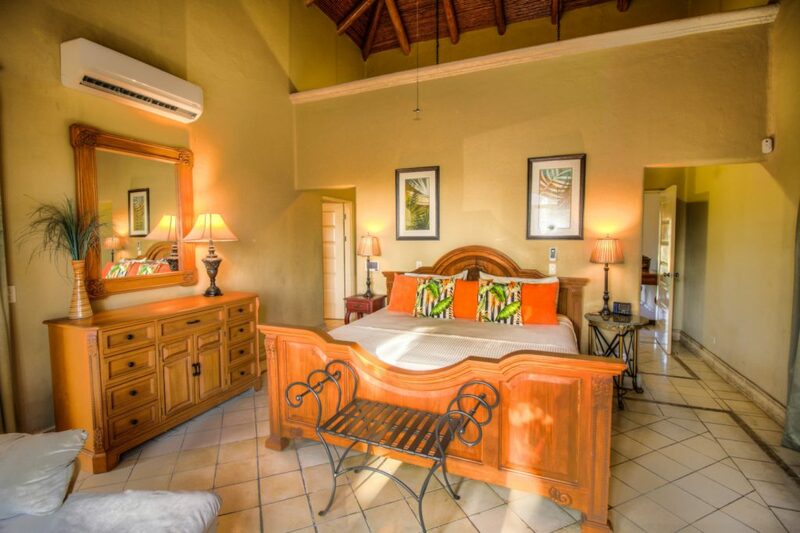 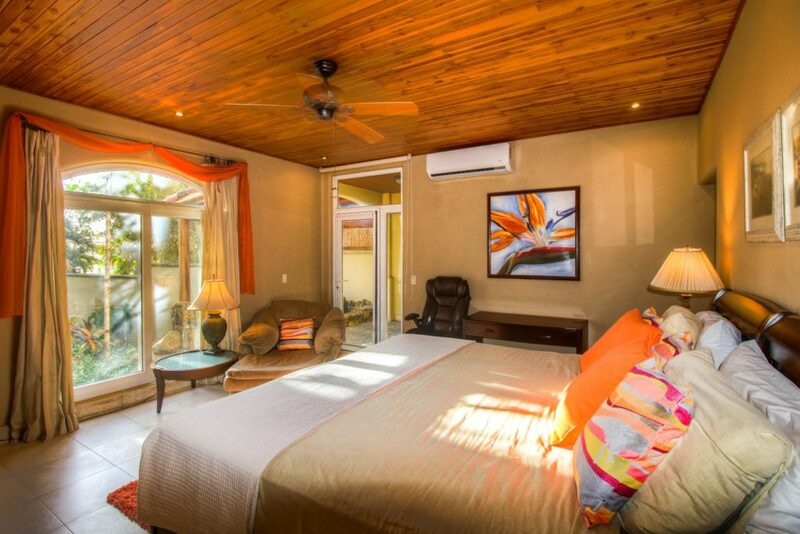 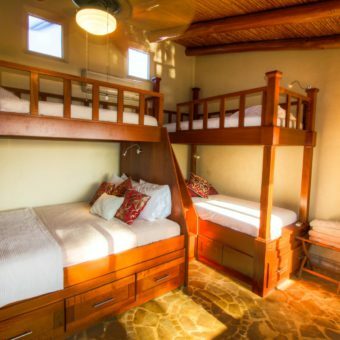 And for any group larger than 4 couples, our rate per luxurious bed per night beats any 4-star hotel in town! 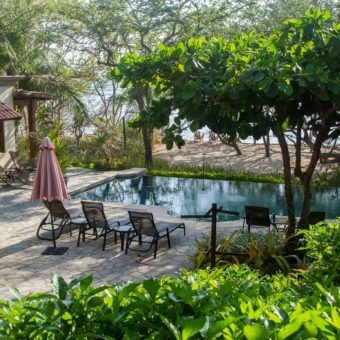 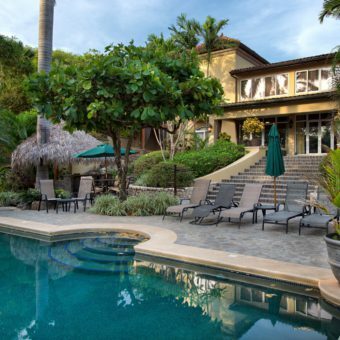 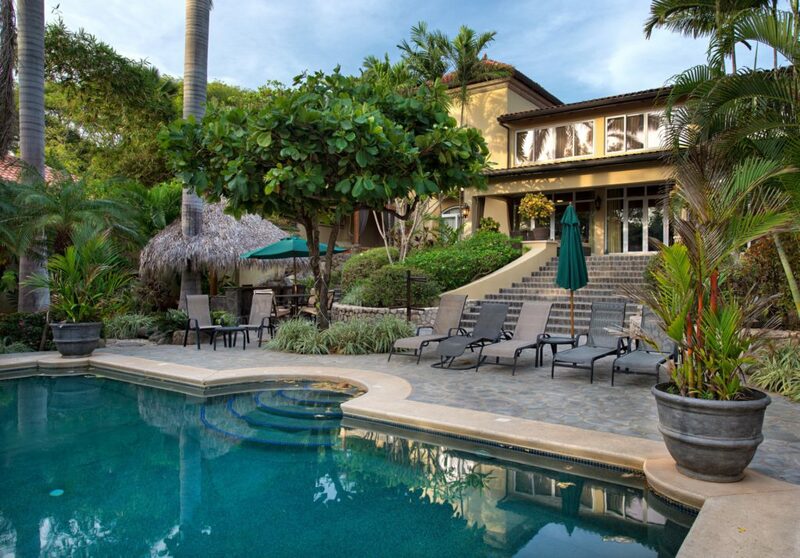 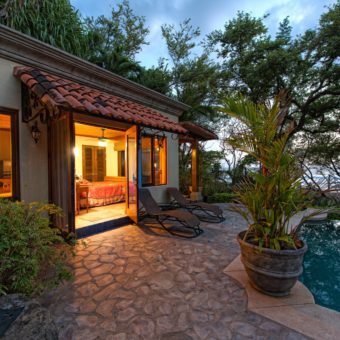 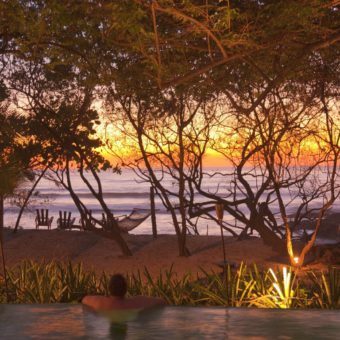 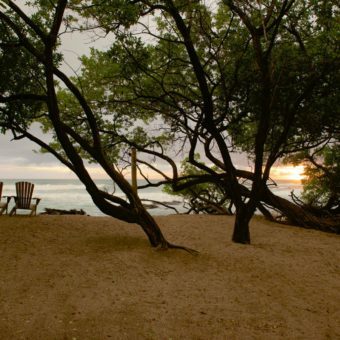 This exclusive gated beach estate is secluded directly on stunning Langosta Beach, in a marine preserve, yet just 5 minutes from the nightlife in Tamarindo, Costa Rica – and a 5 minute walk to world-famous surf breaks. 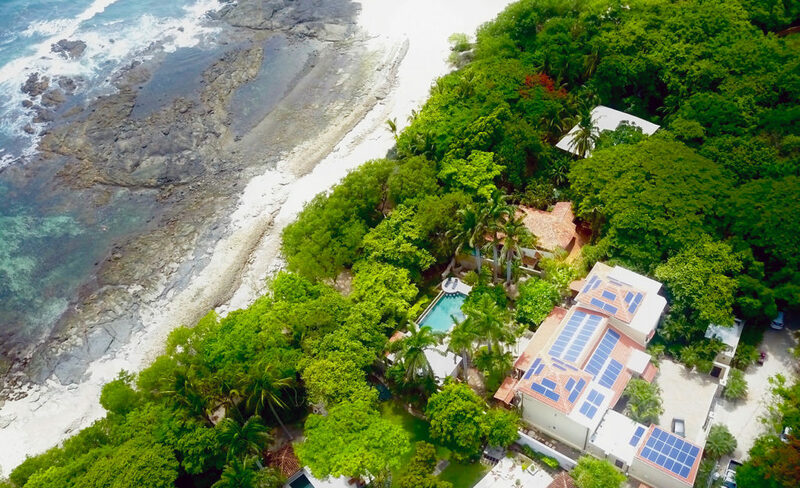 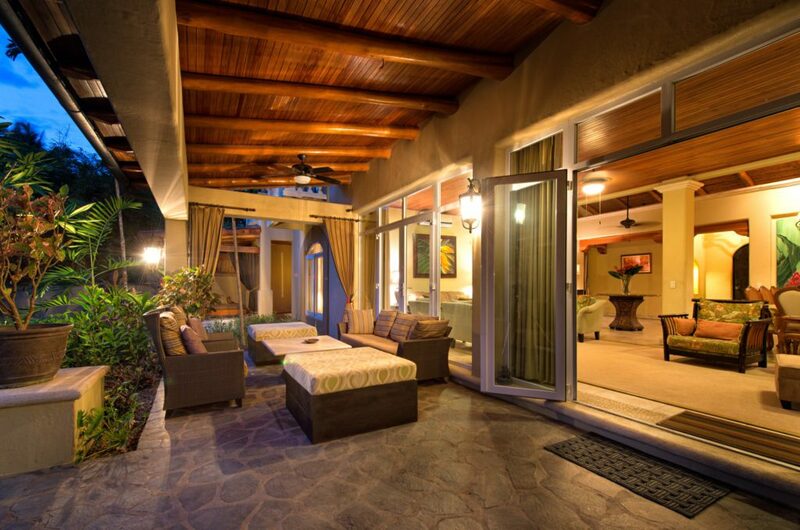 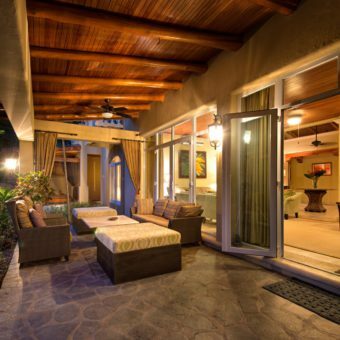 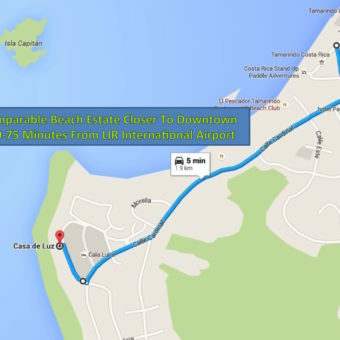 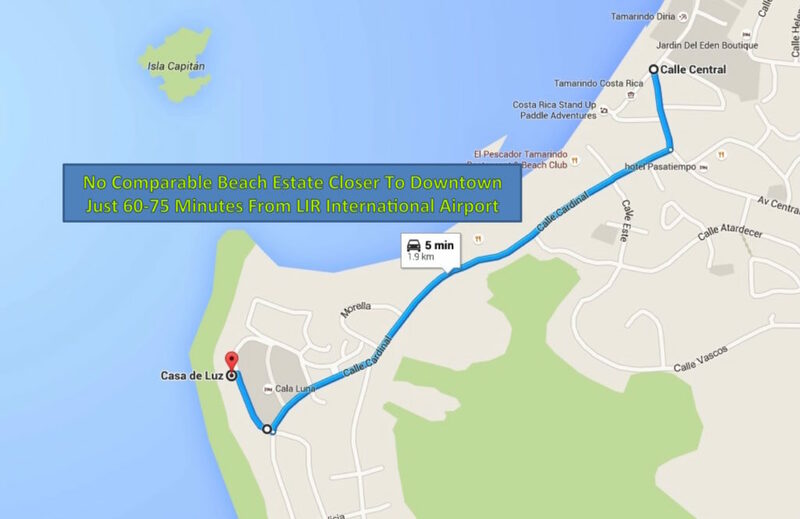 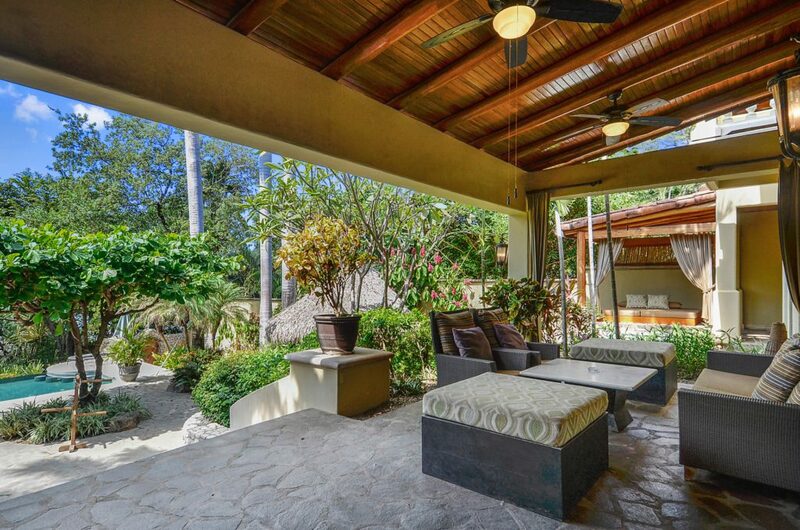 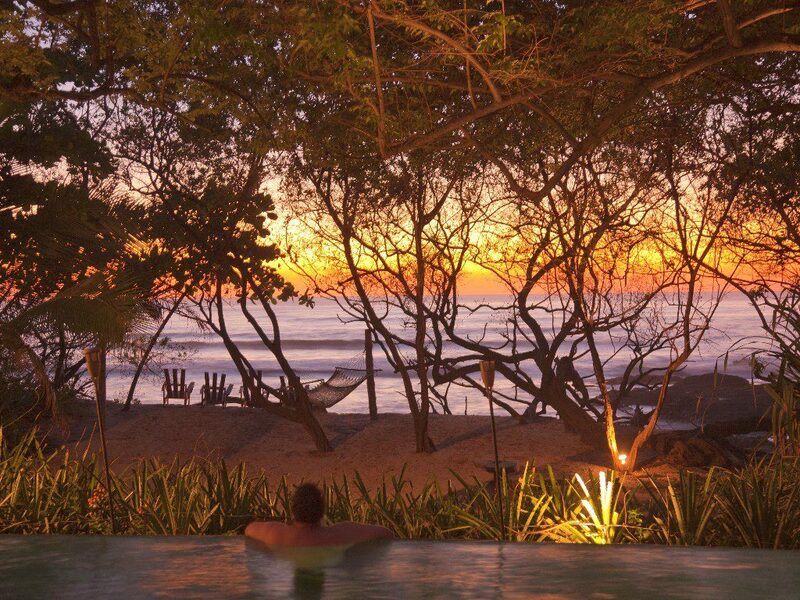 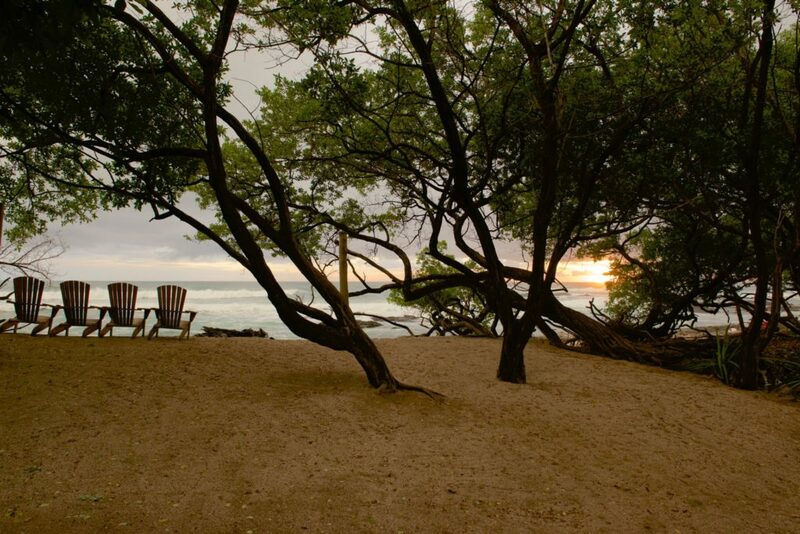 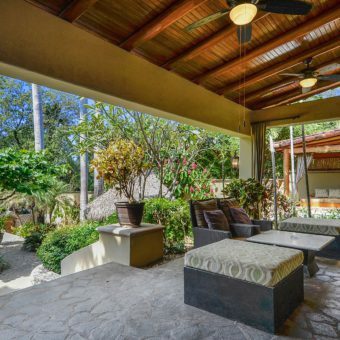 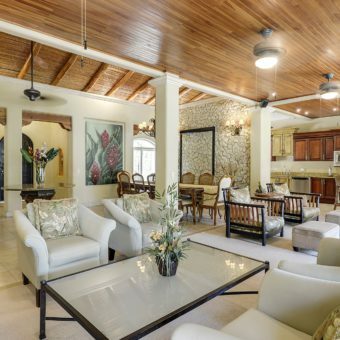 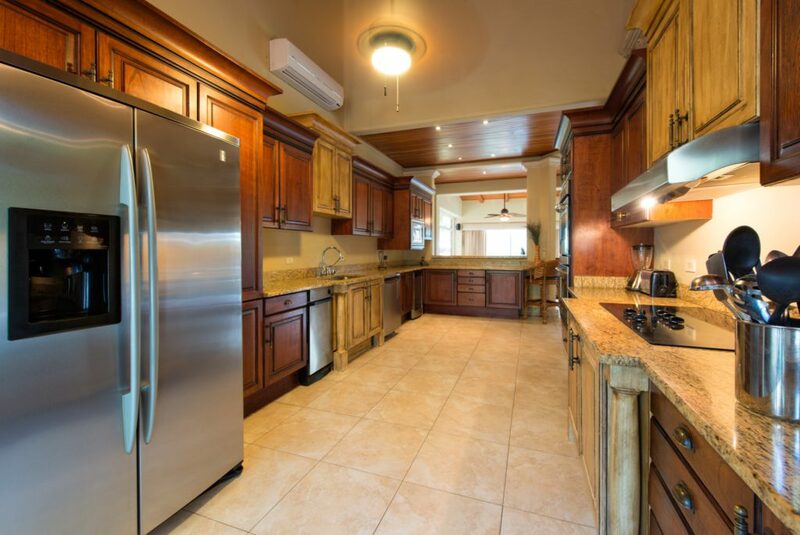 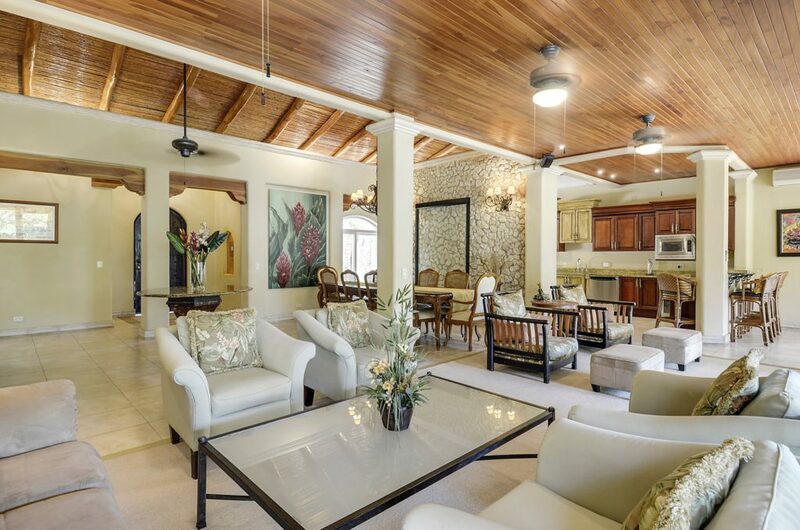 The estate offers one of the largest and most luxurious beach villas in the world-renowned Playa Tamarindo area. 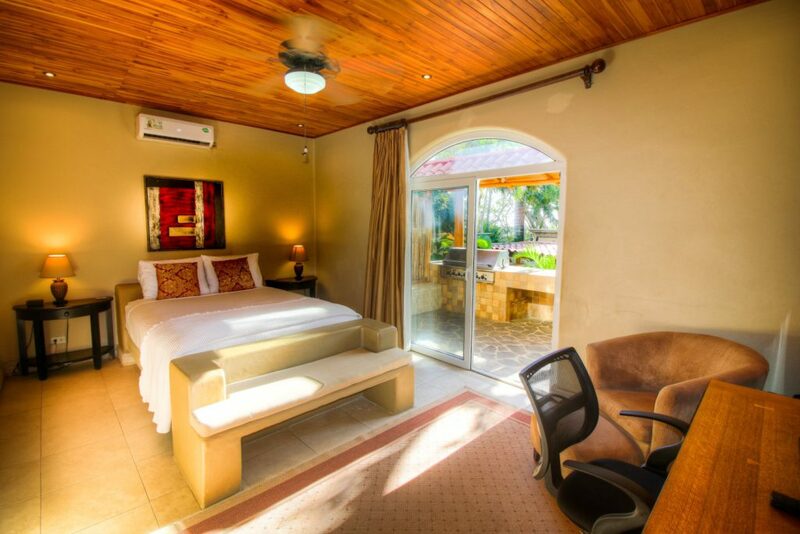 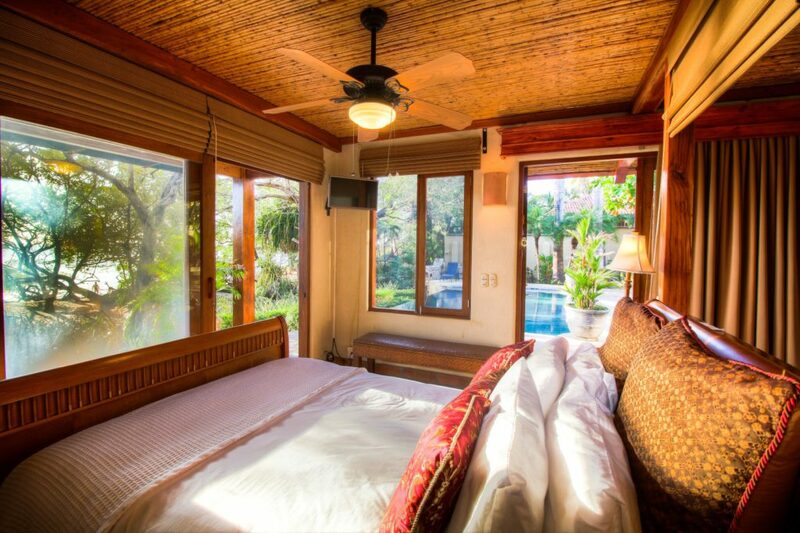 It is the closest major beach villa to downtown, and the only villa where every single living and sleeping room directly faces the sunsets on the sea. 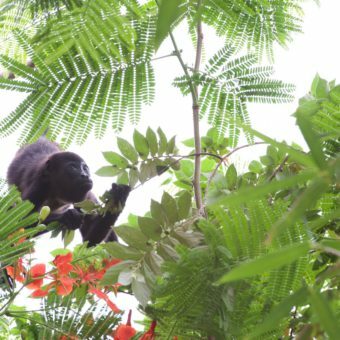 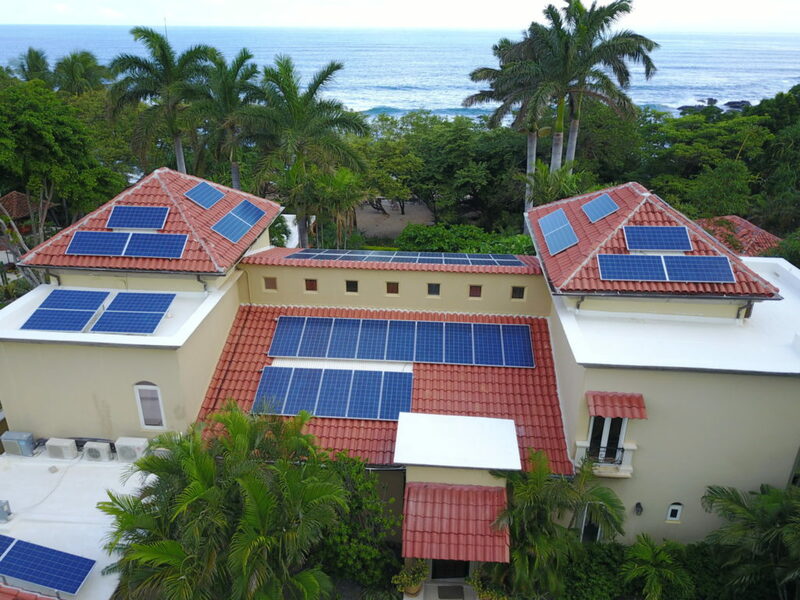 And as of April 2017, we are the only solar house in the area, so our guests save the carbon footprint of two trees per night! 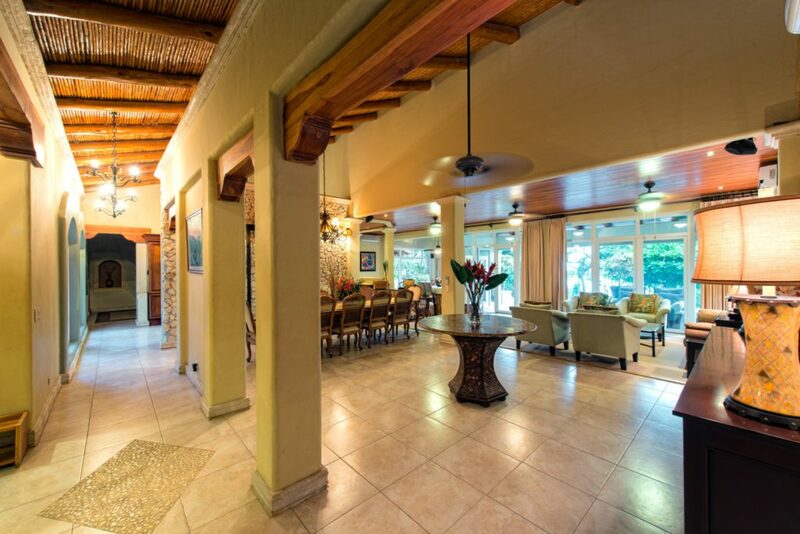 For an interactive floor plan, click here. 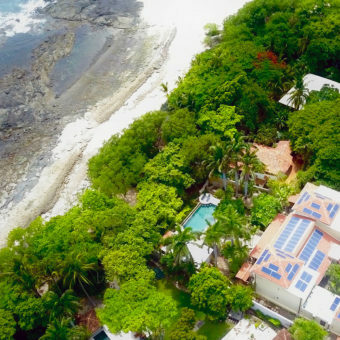 Casa de Luz is ideal for getaway weddings, group retreats, family reunions and special events, offering large entertainment spaces with event facilities and ocean views poolside, in a jungle clearing, on the beach and indoors. 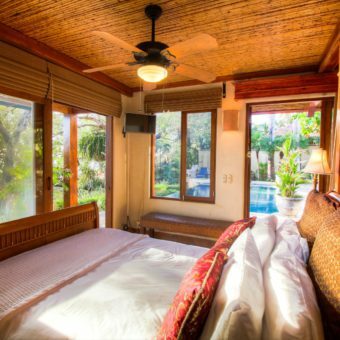 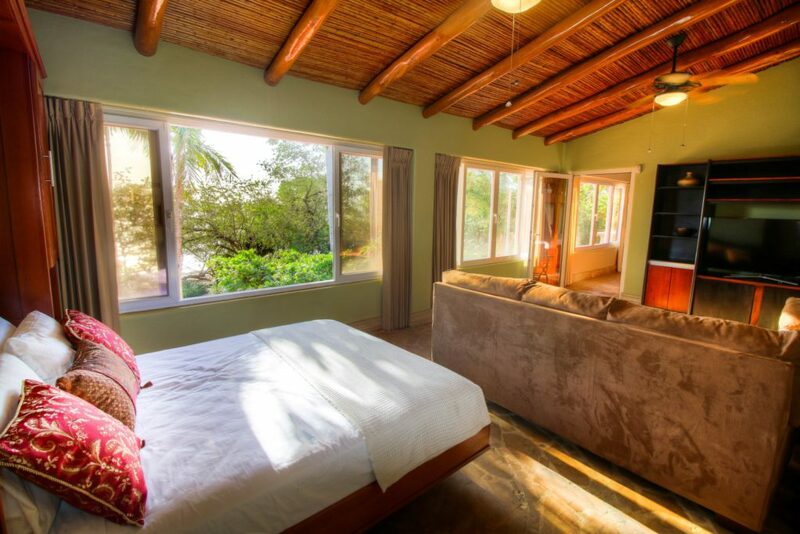 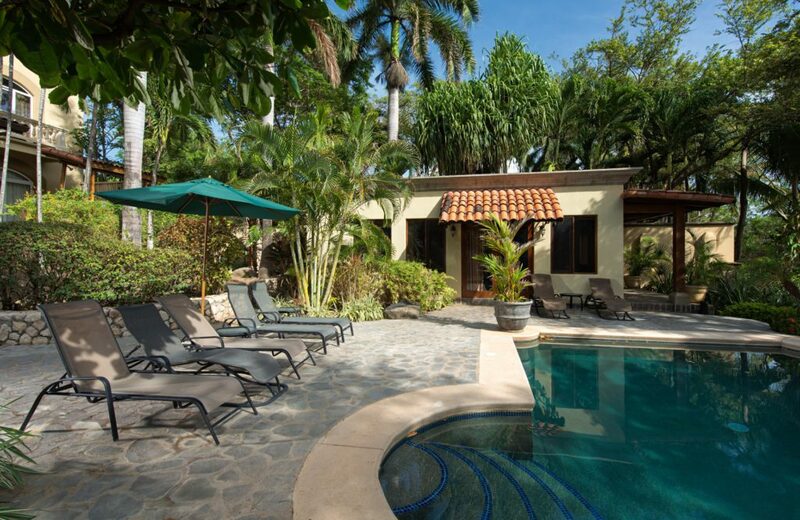 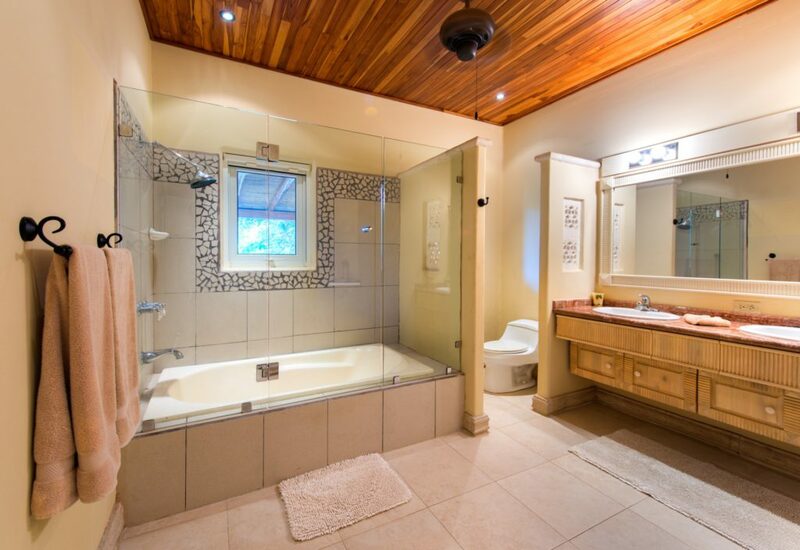 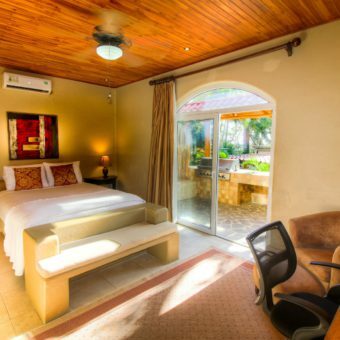 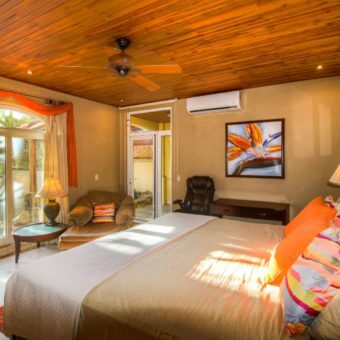 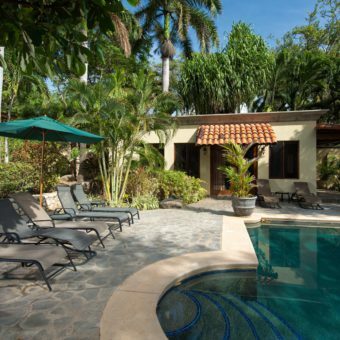 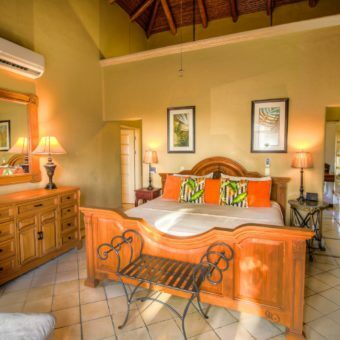 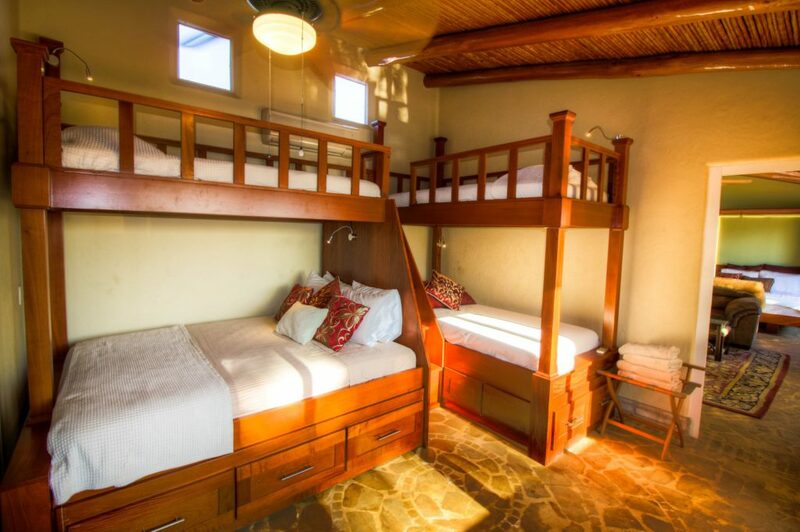 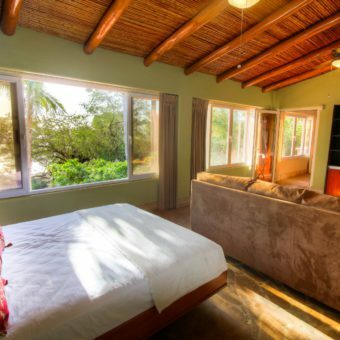 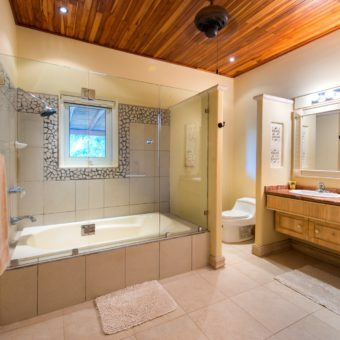 With 7-8 bedrooms/6.5 baths/23 beds and two full kitchens on 3/4 acre of lush jungle landscape, Casa de Luz easily accommodates 8 couples, or 6 couples with lots of kids in high-style – or combine the 5-star bed and breakfast next door to sleep 35+. 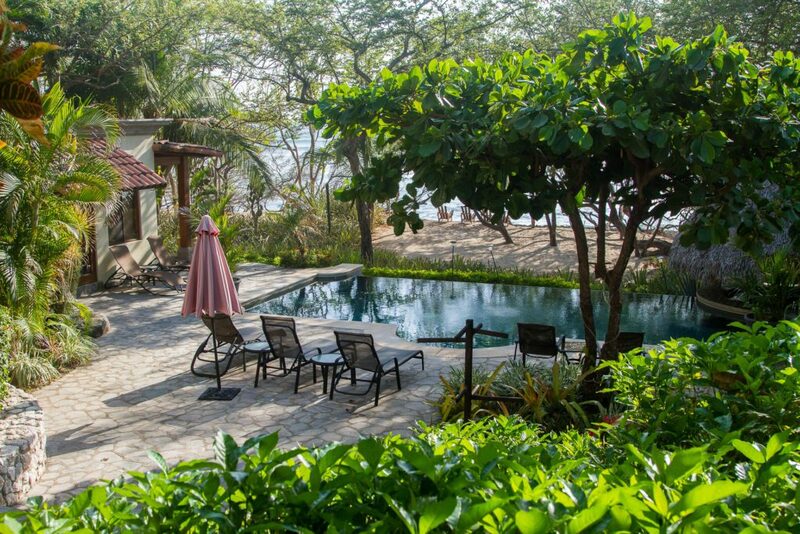 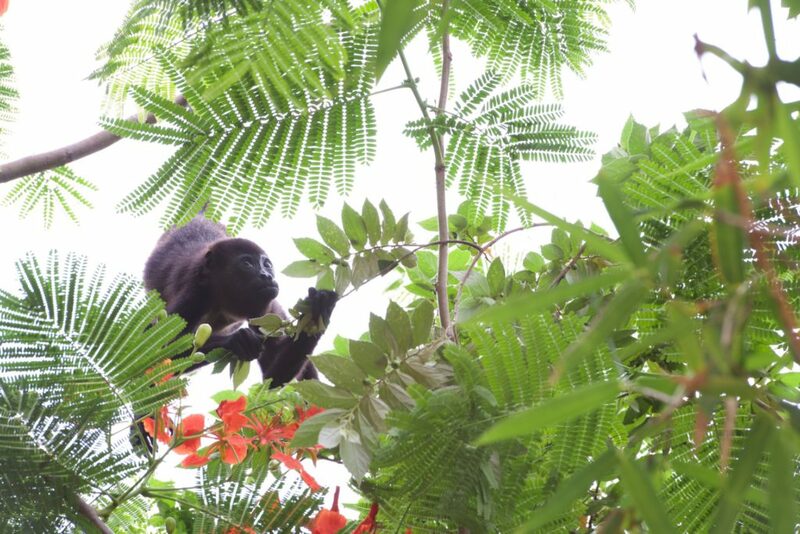 Enjoy infinity pool sunsets, your own palapa bar, BBQ, multiple outdoor living & lounging areas, amazing tide pools and sand beach for kids, parrots & monkeys visiting the yard, and all the world-famous attractions of Playa Tamarindo. 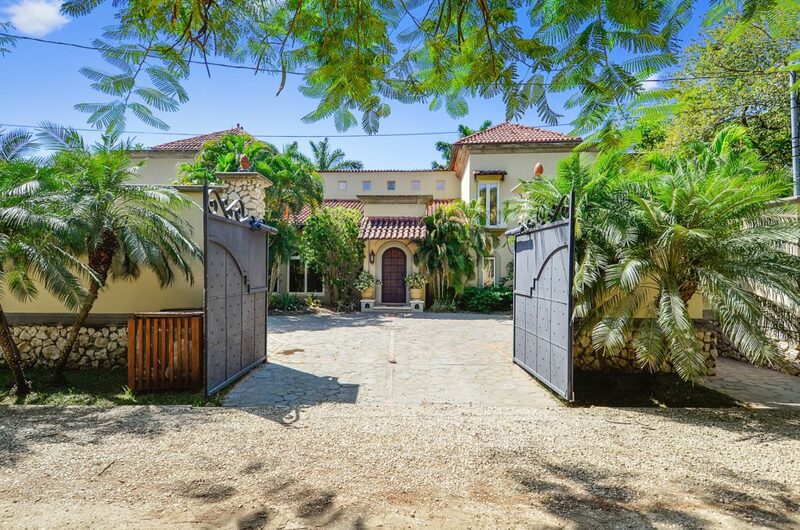 Fully gated & walled with private entry courtyard, 2-car garage, gated beach access, high-speed WiFi, cable, landline, local cell phone, and AC throughout - plus backup power, water, and Internet systems to overcome utility outages. 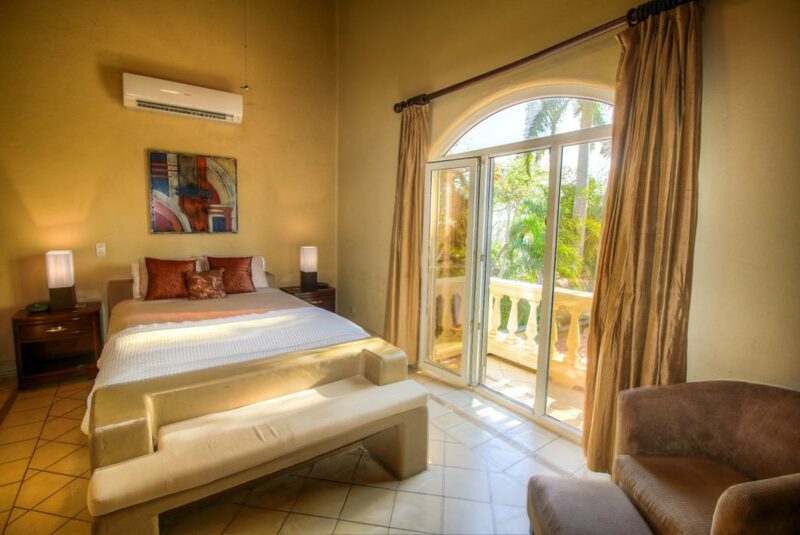 Our luxury rental services include VIP class housekeeping, groundskeeping and pool maintenance 6 days/week - even your personal laundry. 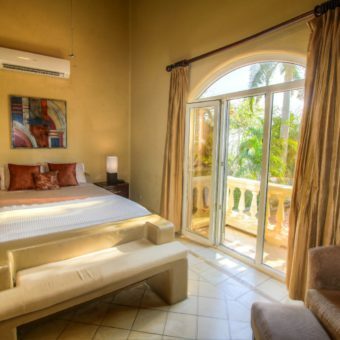 Plus, we offer a personal concierge and optional services such as a private chef, butler, transportation, bucket-list tours, event gear, childcare and other services to meet your every need. 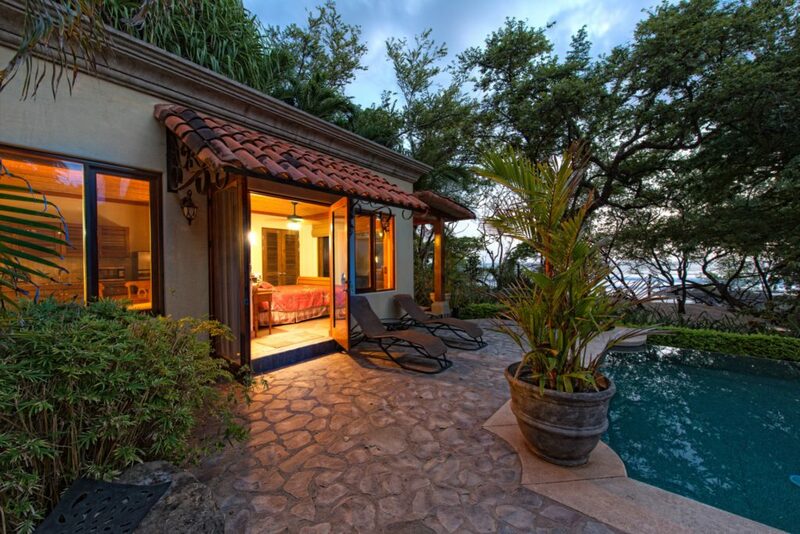 Experience Casa de Luz, the ultimate castle by the sea in paradise soon.